Being a manufacturer we are engaged in manufacturing Hastelloy C276 Tubes which are used by different industries, factories, construction sites, general piping and refineries. Customer satisfaction is our main objective so we check the quality of the product before supplying them to our customers. 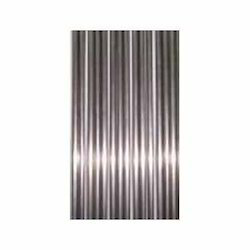 The wide range of product includes Hastelloy C276 Welded Tubes etc. 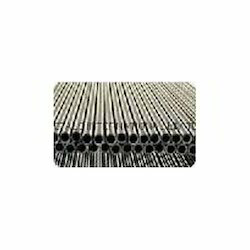 Our wide range of product includes Hatelloy C276 Seamless Tubes. These tubes are manufactured with the best quality of raw material. 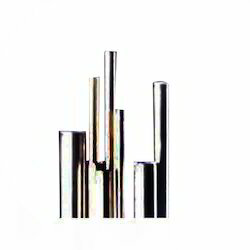 We manufacture tubes that are available in different shape and size as per the need of the customers. The end parts of our products are ended as beveled end, plain end and are threaded. Featured by excellent feature of coating with quality material and smooth finishing we supply our products to different part of the country. With the increase in demand of our customers we are engaged in manufacturing and selling the export quality of Hastelloy C276 Cdw Tubes. These tubes can be customized as per the specification of our clients. Our products exhibit the feature of smooth finishing, corrosion resistance, durability and sturdy construction. We manufacture tubes that supplied to our customers when they pass their quality tests. Hastelloy C276 Welded Tubes are manufactured by us and we use standard quality of raw material to manufacture our products. We procure raw material from our trusted vendors so that we supply the quality product to our customers. These products are widely applicable in refineries, pesticide industries, steel industries, petro chemical industries and construction sites. Before supplying our products we check the products in different parameters of quality, durability, and coating and smooth finishing. Looking for Hastelloy C276 Tubes ?